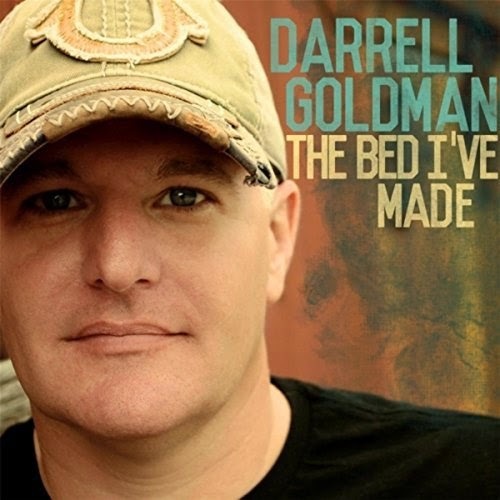 ALBUM REVIEW: Darrell Goldman "The Bed I've Made"
Singer-songwriters like Houston-native Darrell Goldman face long odds and daunting obstacles - especially when crafting and perfecting a body of songs that make up a debut album. However, Darrell Goldman manages to pull it all together with just the right elements on his first project "The Bed I've Made." And this album is a cozy cup of country goodness that would make anyone yearn for an extra hour in their day to spend with this winning album. The music begins with the superbly-performed "Hold On My Heart," which offers heartfelt lyrics and a confident, laid-back style that works. The next track "In This Together" is a refreshingly folksy cut that is aided by thought-provoking lyrics. The constant refrain "we're in this together" is sung with a warmth that is rare among country music performers.